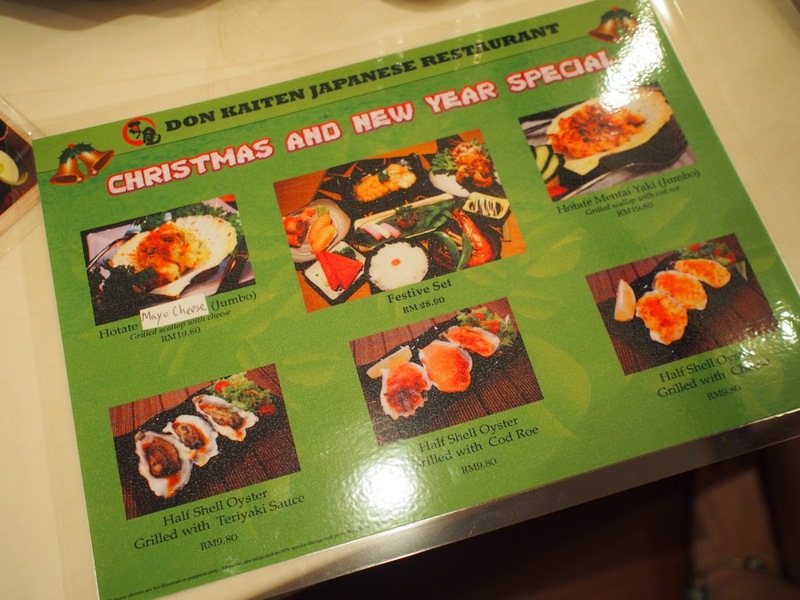 Had the opportunity to go to Don Kaiten to try out the Japanese food. 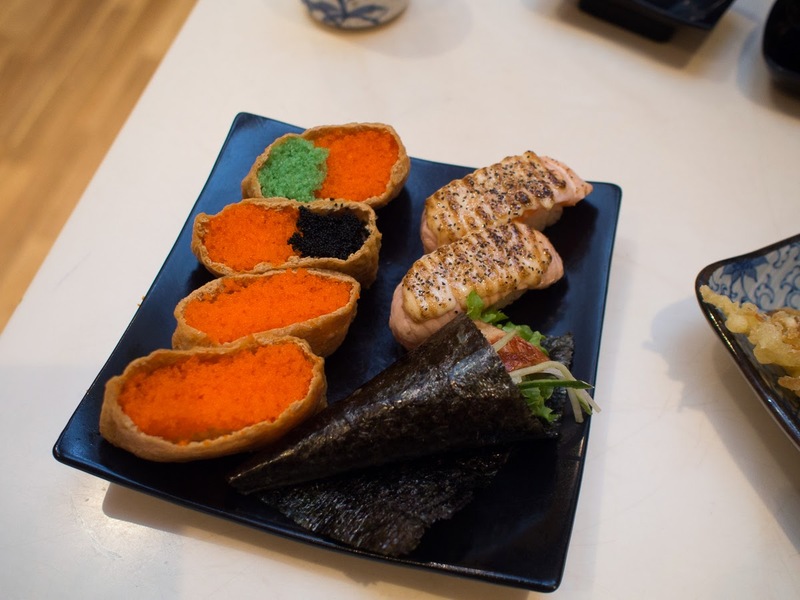 The restaurant is most famous for their sushi. Went there with HF and Shanon. It was my first time at Klang Parade. 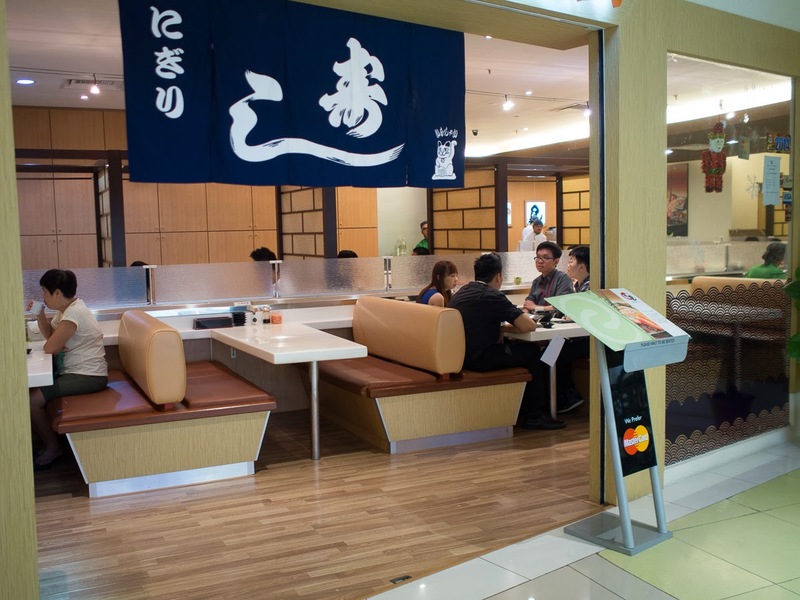 There weren't many people hanging around the mall but even so, Don Kaiten managed to attract quite a number of customers during lunch hour. 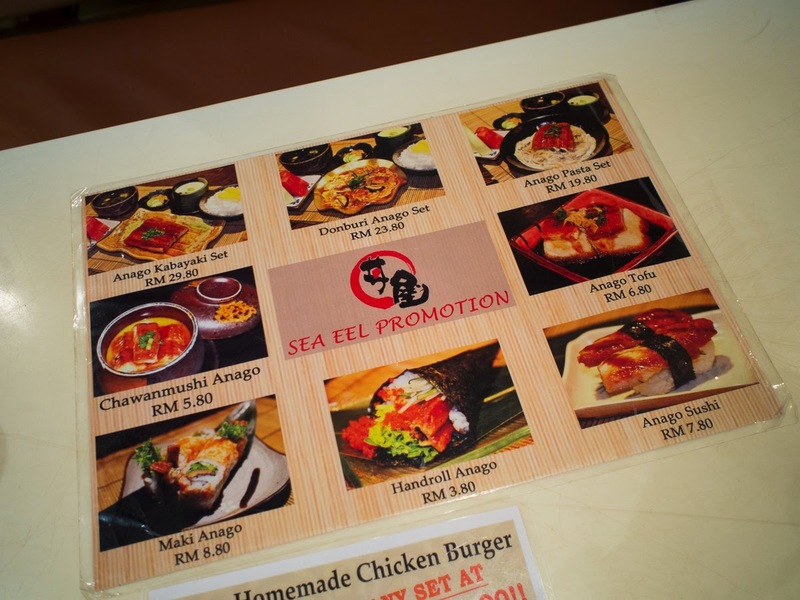 Current promotion - sea eel! 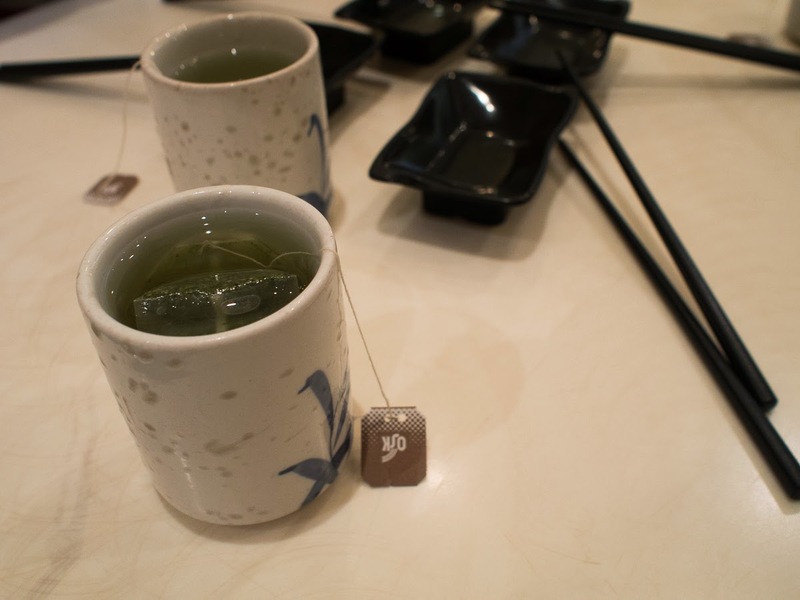 At Don Kaiten, you will be given a sachet of green tea if you ordered hot green tea. 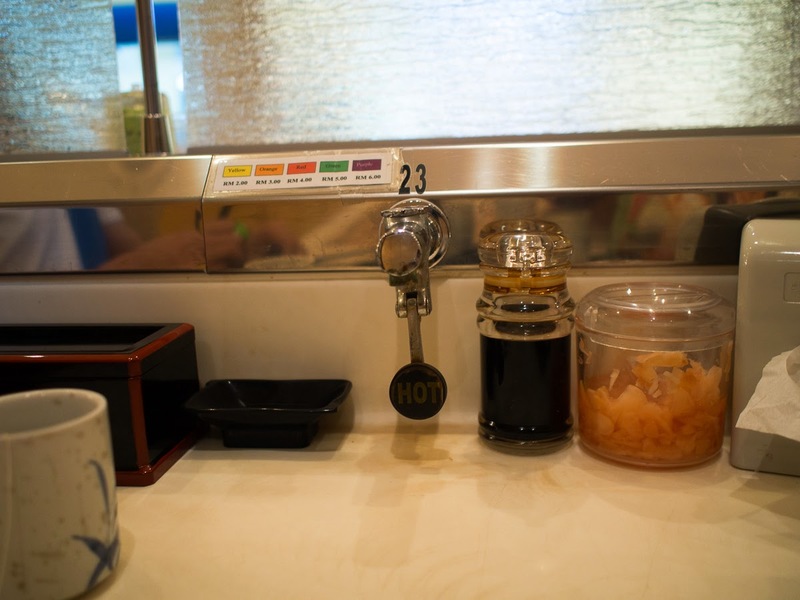 There is no need to keep calling the waiter to refill the green tea for you because you can actually refill the hot water yourself at the table you are seated at. 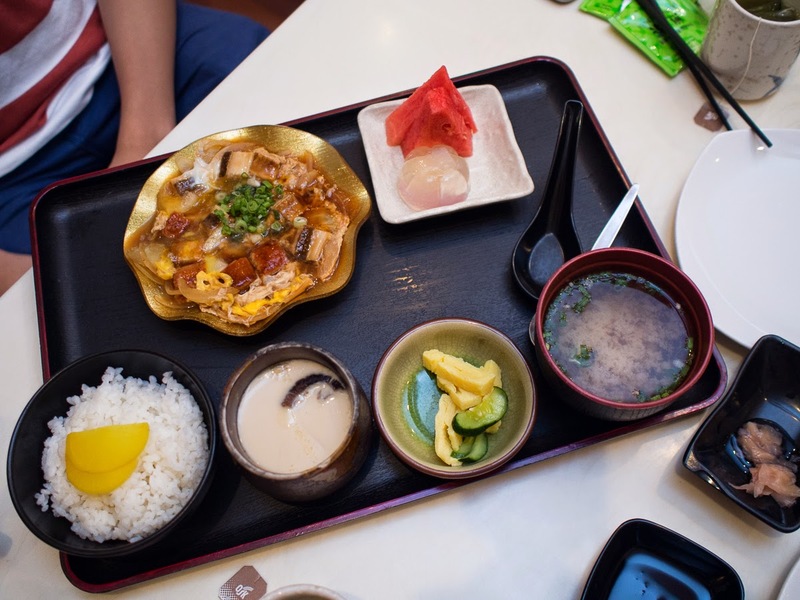 HF's donburi anago set. Quite generous amount of sea eel given here. 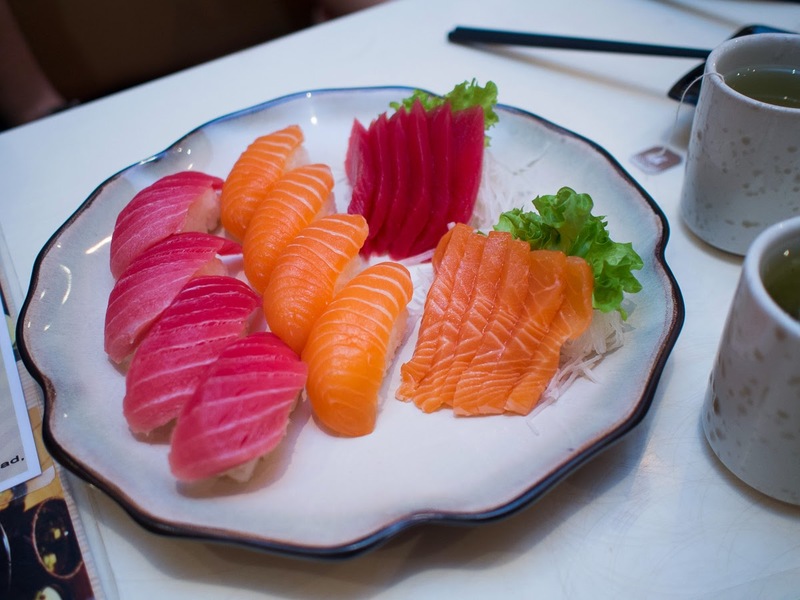 Very fresh salmon and tuna. This was one of our favourites that day. 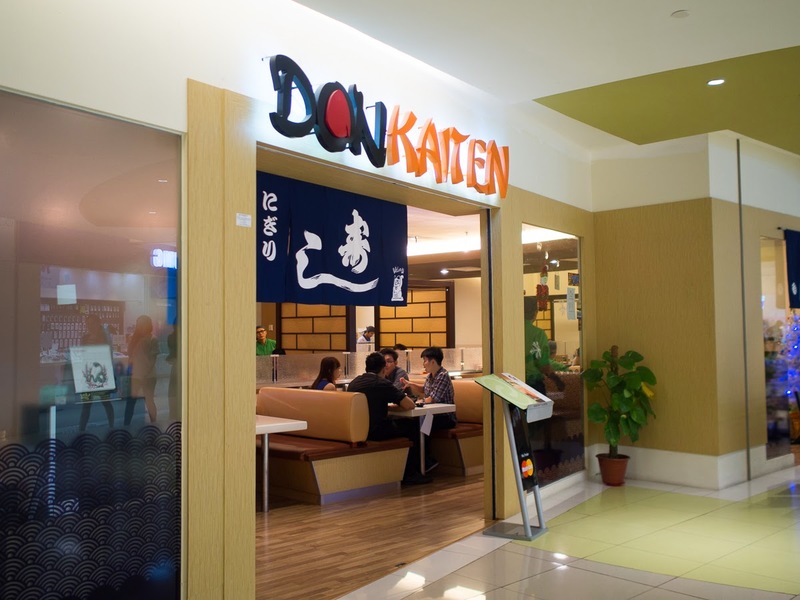 Don Kaiten boasts of making their own egg crepes. 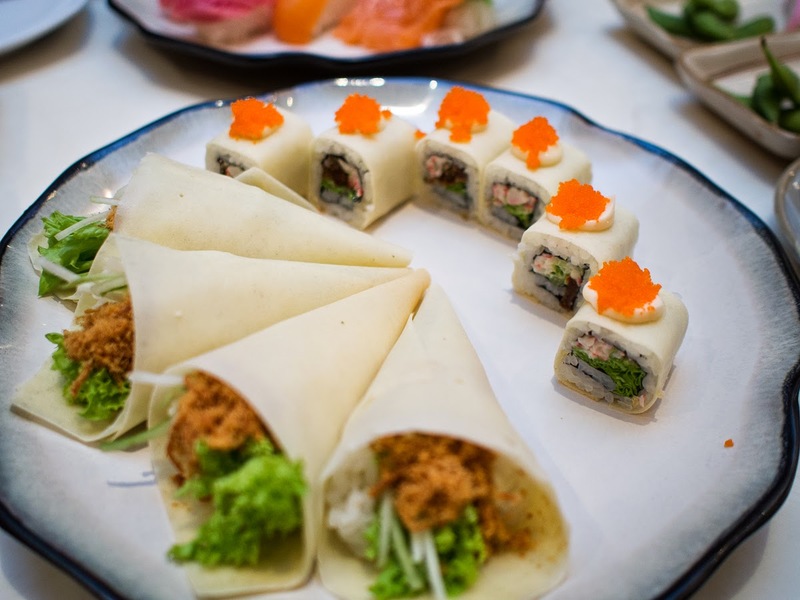 The combination of the ingredients in the egg crepe maki and egg crepe handroll went well with each other. 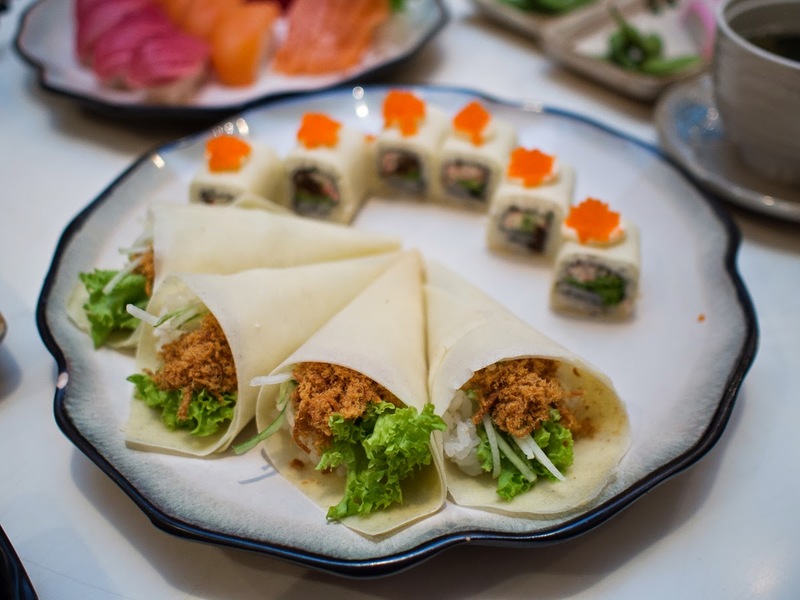 I also liked the fact that I could use my hands to eat the egg crepe handroll and I don't have to wipe my hand afterwards unlike the usual handroll that is wrapped with seaweed. Why? Cause unlike seaweeds, the egg crepe was not oily so there wasn't any oil stains on my hand. Hands down my favourites for the day! 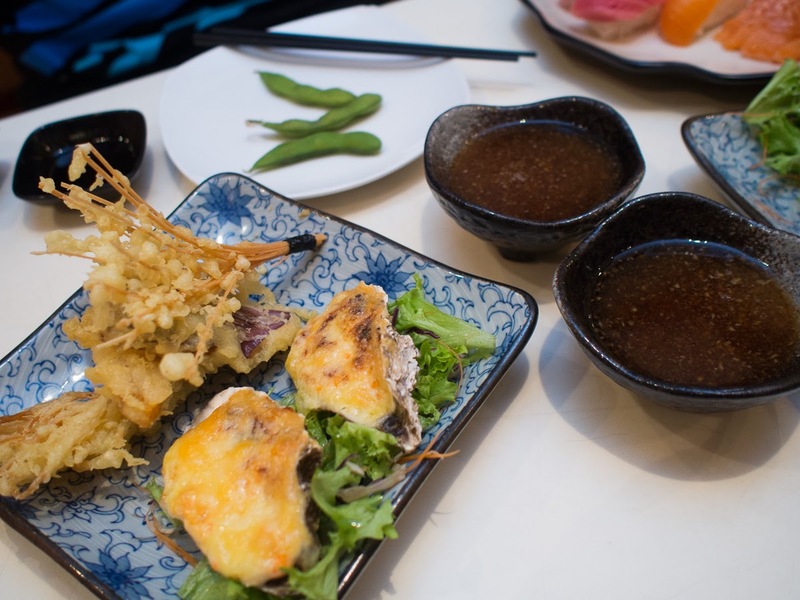 Half shell oyster grilled with cheese with vegetable tempura. Inari ebiko - very generous amount of ebiko given. 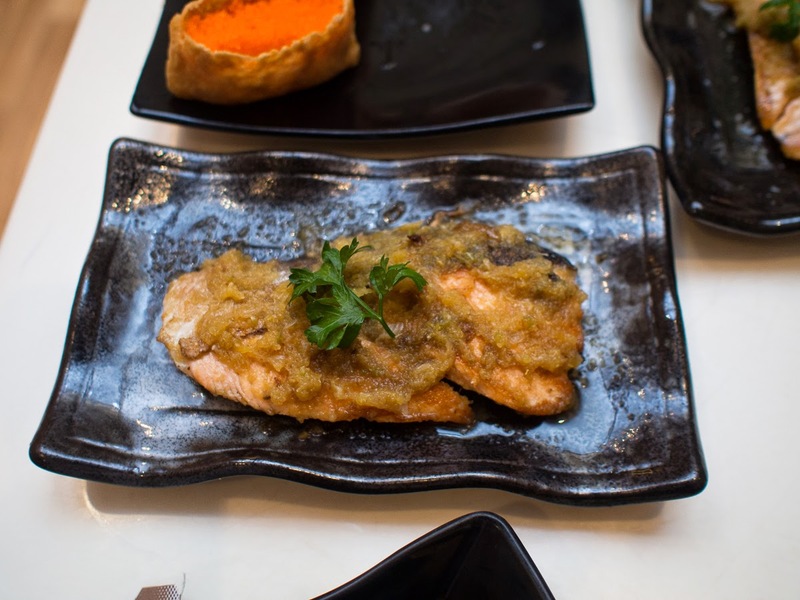 Handroll anago (sea eel) and Kuro Kosho salmon (half cooked black pepper salmon) were good too. It was unfortunate that the restaurant ran out of mentai that day as anything with mentai was our favourite. (I checked with the restauraunt, it was just a one-time thing. They didn't always run out of mentai). 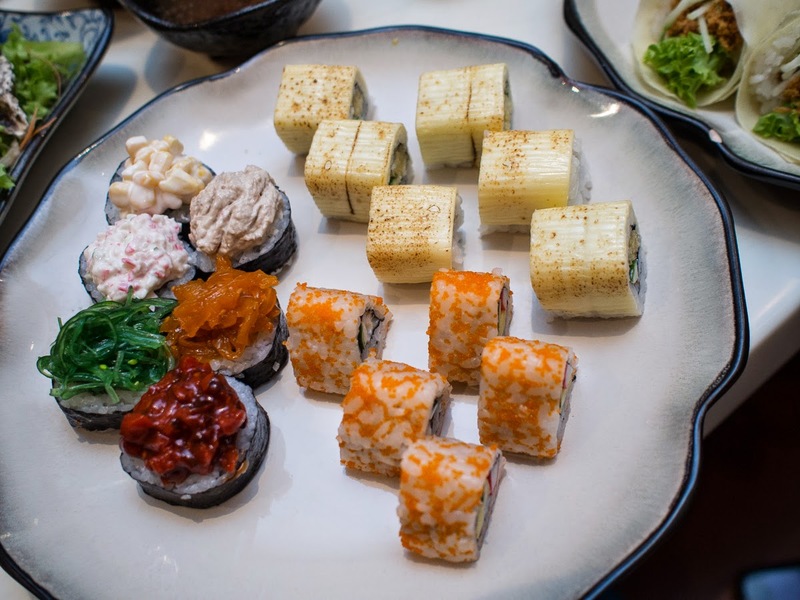 We wanted to order and try out a few other sushi with mentai but since they ran out of mentai we had to order something else. Overall, I was really pleased with the food. Very, very wide selection with very fresh ingredients. 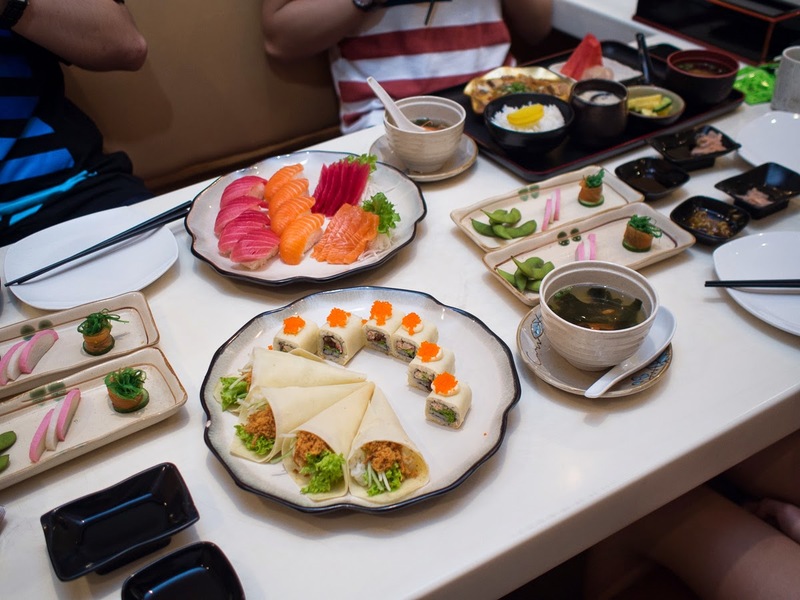 They have salad, tofu, sushi, temaki, party sets, sashimi, beef, tempura, rice meal sets, teppanyaki, japanese pasta, ramen, soba.. and the list goes on! Seriously. But anyhow, as you can see, I didn't even manage to try 10 percent of the menu. But whatever, I tried the egg crepe maki and handroll, which were excellent! And enough to get me craving for it. 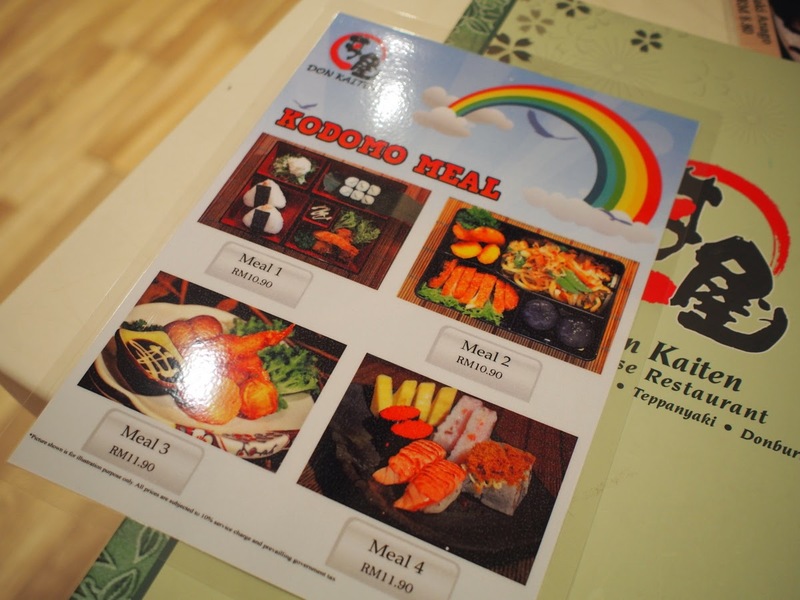 Look out for the upcoming Christmas and New Year Promotion, and new kids menu!